Unwind in the heart of Tilburg's bustling city center. Enjoy an aperitif in our bar followed by a refined, GaultMillau-standard meal in our restaurant. If you are a music lover, the famous 013 music venue is 109 yds (100 m) away! Put down your suitcase and enjoy your stay at the Mercure Hotel Tilburg Centrum. This four-star hotel is perfectly located in the city center within walking distance of Tilburg main train station and is easily accessible by car, with parking available next door at the Heuvelpoort parking garage. The CitySauna spa guarantees total relaxation and there are 4 modern meeting rooms available for your meetings. Get your day off to a great start with our extensive and delicious buffet breakfast. Thanks to its downtown location, the hotel is an ideal base to discover Tilburg and the rest of the beautiful province of Noord Brabant. The station is 875 yds (800 meters) away, and the Heuvelpoort parking garage is right next to the hotel. Choose the room that meets your requirements from the room categories available. 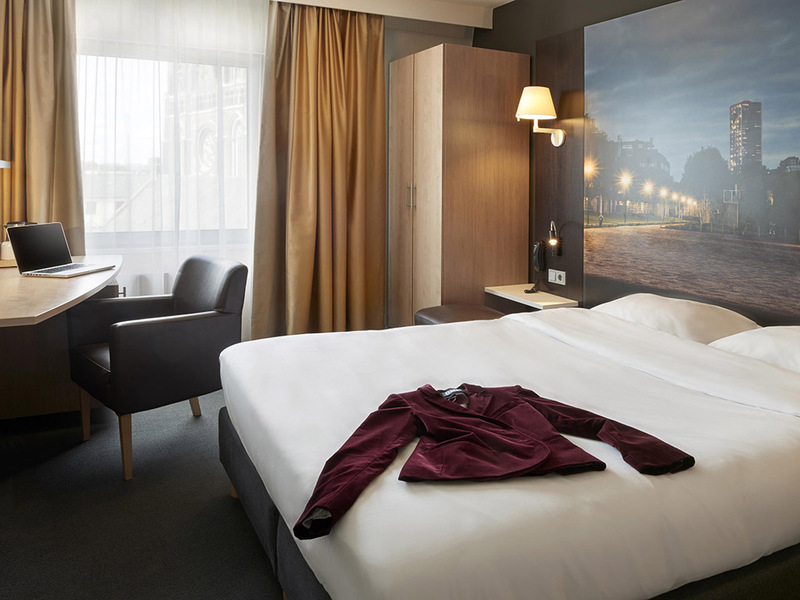 Opt for a Standard Room with a view over the Heuvelplein square or enjoy more space and luxury in one of our Privilege Rooms. Taste! is anything but a typical restaurant. At Taste! you can enjoy Gault Millau-class food and savor your meal in a trendy, welcoming environment. Taste! serves exclusive, refined cuisine where the taste and experience are central. Get a taste of the good life at Grand Café Puur, an eatery that leaves you wanting more! Grand Café Puur is a contemporary grand café offering relaxed and sociable dining: a place where everyone feels at home thanks to the welcoming, laid-back atmosphere. Otelde yapılan renovasyon güzel olmuş, restaurant iyi ancak ingilizce menu olmaması şaşırtıcıydı..
İlk defa kaldığım Tilburg Mercure otelinden memnun kaldık..